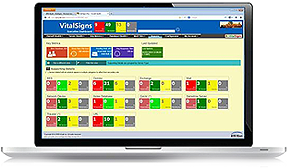 VitalSigns is a Software delivered by RPR Wyatt. The HQ of the company is based in Phoenix, Arizona, USA. The main goal of the Software is to provide holistic monitoring of IT infrastructure, Cloud usage/reporting and comes complete with KPI’s. The Software delivers a return on investment for our Customers by saving time, reducing IT incidents and provide better insight for capacity planning or IT transition projects. At RPRVitalSigns we know that Monitoring and Managing IT is going through a transition. This transition is cultural, with a stronger focus on the individual end user experience versus the actual infra providing the IT. Another driver of change is the move to the Cloud. This creates more demand on measuring the quality delivered by that Cloud. All based on end user experience. Those companies that do move to the Cloud, trust the Cloud. But at VitalSigns we know this trust is not unconditional and the need to measure the true end user experience remains a requirement for many IT departments. VitalSigns’ vision is axed on protecting excellent end user experience for the on premises Business users, but also for your Cloud users. As it turns out, most of our Customers need to monitor both scenarios since the transition often takes many years. 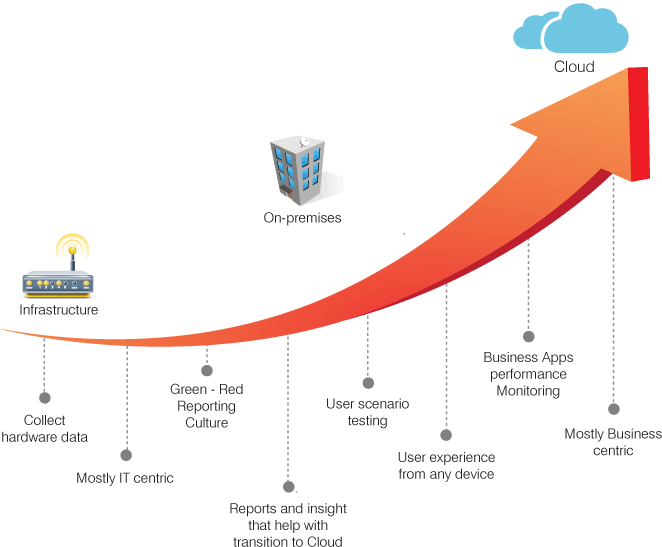 Both meaning, Monitor the on premises infrastructure investment, and Monitor the Cloud based user experience. To finish, VitalSigns provides highly cost effective Network Monitoring, all through one consolidated dashboard. The world of Information technology is a moving target with shifting requirements. VitalSigns is agile and determined to help our Customers protect their IT investment and Business experience, while they maneuver through complicated decisions to move to the Cloud or optimize their IT processes. No matter where are Customers are now, or where they will be in the future, VitalSigns will protect their investment.